Great digital user experience and translating professionalism. Fiji has been a favoured holiday destination for generations. Increasingly people are moving there or buying holiday houses to take advantage of the wonderful climate, natural beauty, and warm and friendly people. 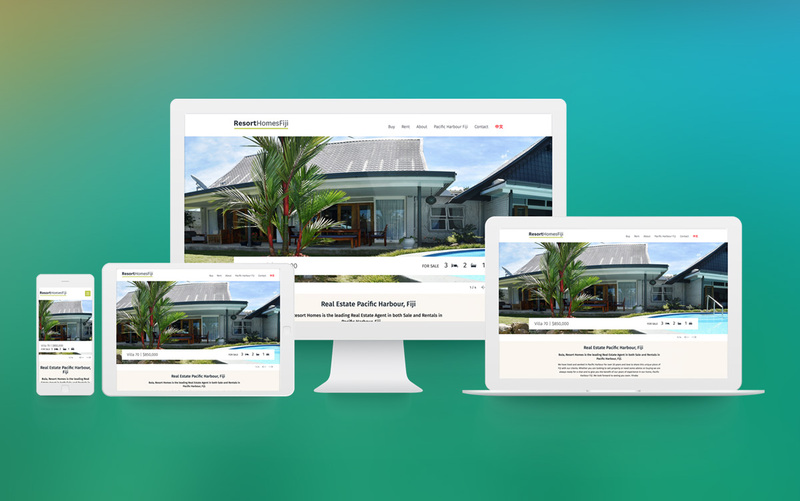 Our client has been in the business of selling real estate in and around Pacific Harbour Fiji for many years, and their previous website was not performing as they would have liked. The brand was all about a great digital user experience and translating professionalism with island style. We worked with the client to create a modern, clean brand that used plenty of white space. The logo is anchored with a colour reminiscent of Fiji. We audited the old site, looked at usage patterns and created a clean user experience that presented the product logically and in an engaging way. “Our website was outdated and our company needed desperate help. Since the first day, lcdc.co not only changed the face of our real estate business but also provided great SEO services.